M.A. Rahman Chughtai was fascinated with Germany. The image of Germany in national environment was wonderful. Two World wars and Germany annihilated but recovered with determination and inner energy. Everybody appreciated that. The artist had seen Germany in 1932 as well as in 1938. He had met German artists, and intellectuals. he was always impressed with them. 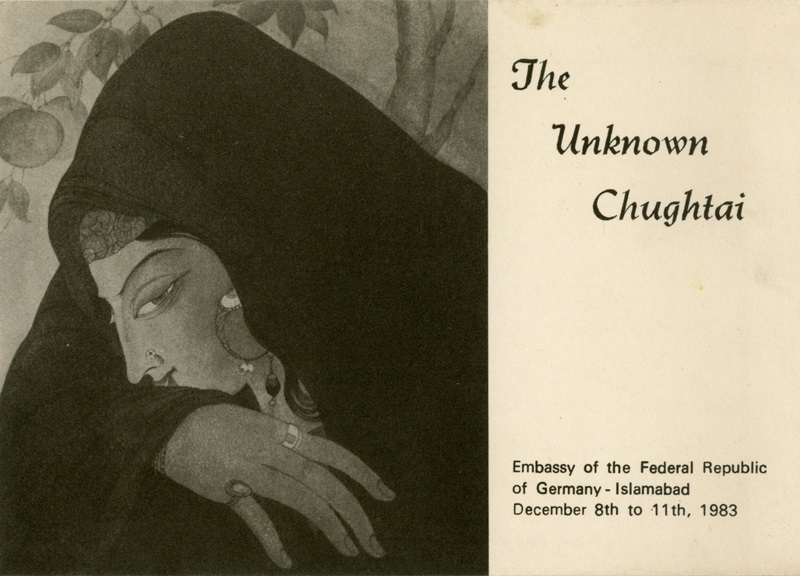 After partition Germans showed great interest in Chughtai Art. 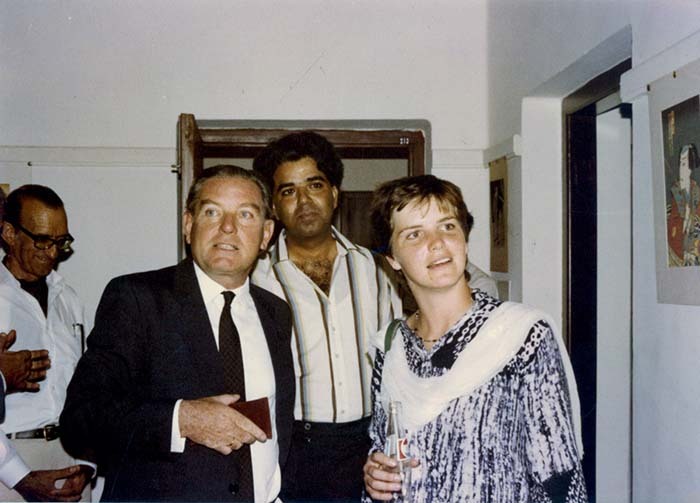 Dr Klaus Mehnert, the Professor at Columbia University was a good friend. So were many others. German diplomats called at Chughtai Home all the time. The death of M.A. Rahman Chughtai on 17th January, 1975, was condoled by the German President, Walter Scheel. 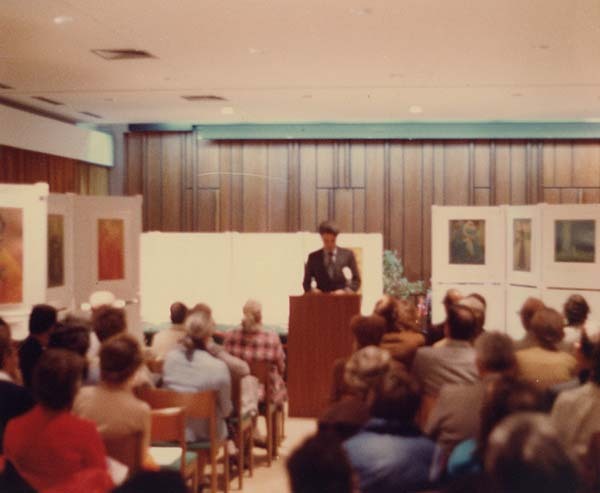 I visited Bonn and presented a painting to President Walter Scheel in 1976, where he gave us a State Reception. So it was natural that diplomat Rozini, the Cultural Attache at the German Embassy to call on us. He had written a book on our culture. Dr Klaus Terfloth visit followed, who came along with his lovely daughter. Ambassador wanted to take this interest much further. An exhibition show was planned in Bonn itself. As a step forward to it, a show of Chughtai Art was arranged at the German Embassy, and on special request, we allowed the exhibition to be without glass cover (a big concession from our part). I could not say NO to their request, and the show namely UNKNOWN CHUGHTAI was held at the Embassy. The exuberance from the Germans was tremendous and Dr Klaus Terfloth gave the opening address and said, “I HEARD ABOUT CHUGHTAI LONG BEFORE I HEARD ABOUT PAKISTAN”. It sent shock waves amongst the listeners and the sinister lobby led by nincompoops of Pakistan tried their best to sabotage the show. The Federal Minister for Culture was there and it was visited by around five Pakistanis, some has gone from Lahore to sabotage the proceedings. The next day the newspaper carried a news item written by a real Mir Jaffer, who was on active pay roll of the lobby. The German Ambassador was heart broken but I could see the reason behind all that. He was shocked that journalists in Pakistan could stoop so low. Dr Klaus Terfloth hosted a dinner for me at the Embassy and the ruling Elite of Islamabad were invited to the show, including the Minister for Culture as well as various bureaucrats., Agha Nasir of PTV was also there. It was Zia ul Haque’s time and his Islamic revolution. Drinks were flowing all around, and people were having their fill with FREE ALCOHOL, the most desired concept in Pakistan, which is MUFT KEE SHARAB QAZI KO BE HILAL, which literally means free alcohol is legitimate for even the Islamic Judge. A couple of Waiters would come again and again in front of my group (myself and two companions from Lahore) and offer same to us. We would politely refuse and take an orange drink now and then. All of them started chatting with each other and then one finally came forward and said. It is all right to drink here, no one will look, no one will mind, no one will see. We said it is haram in our way of life and we do not partake haram, and Nobody may see or not, Allah sees everywhere., They were further perturbed, and said all those who were there had notions about enforcing Islam in the country. Is it a mere hypocrisy on their part! It was not possible to satisfy them. We carry the banner of Pakistan. We are happy about it. We appreciate Germans interest in Chughtai Art all the time. Cheers to Germany all the time!